Be safe and clean with Schmand Weg! The Schmand Weg Bong & Pipe Cleaner is Earth Friendly - no fumes and no aftertaste once you've cleaned your bong or pipe. Schmand Weg Bong & Pipe Cleaner can be used to clean pipes or bongs of all materials including glass, ceramics, metal and plastic. It will not leave any unwanted residue and it is non-toxic. 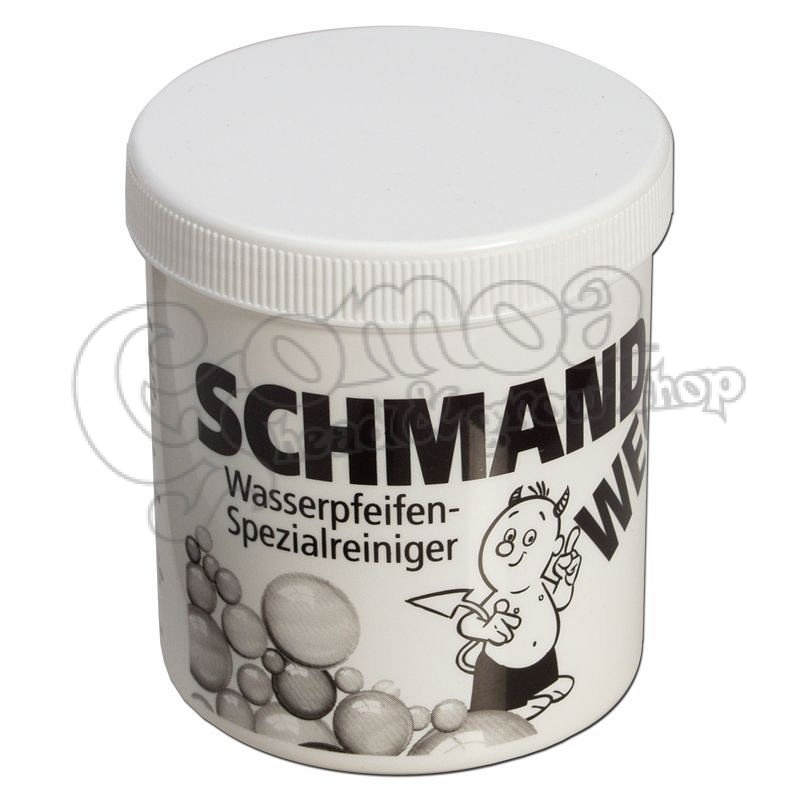 Use two teaspoon of Schmand Weg mixed with warm water and fill it in the pipe. Shake well and let it stand for 5 minute. Rinse well with clear water. For best results, use regularly. For heavily tarred bongs or pipes, mix Schmand Weg Bong & Pipe Cleaner with hot water. Cleaning brushes are always recommended as part of your bong cleaning process. You can buy them HERE.